I usually start my morning with a tall glass of lemon and mint water, followed by a nice big cup of coffee! Coffee is my soulmate in life and it gets me through my mornings! However, it does lead to staining my teeth which is so unfortunate. Coffee and I have a love-hate relationship 😉 (Oh and did I mention I’m quite the wine connoisseur). My teeth are just bound to a life of hardship, however, I found the perfect solution!! 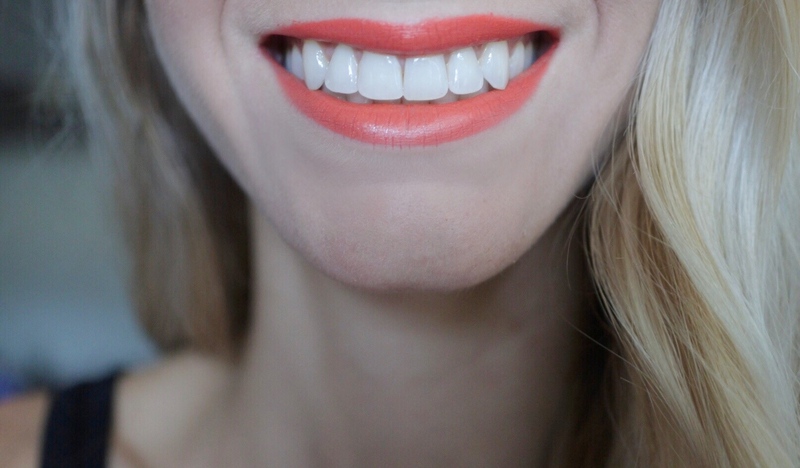 I’ve tried quite a few teeth whitening kits but did not see the results as anticipated. Then I found Smile Brilliant. 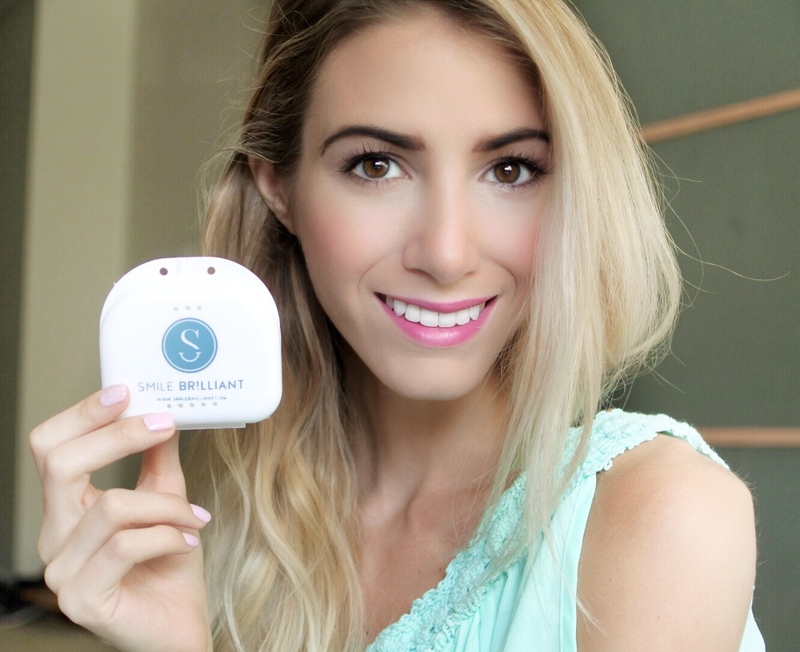 Smile Brilliant is the perfect teeth whitening system and the results have me overjoyed. For me, affordability and quality of results are huge factors in deciding on a teeth whitening system. 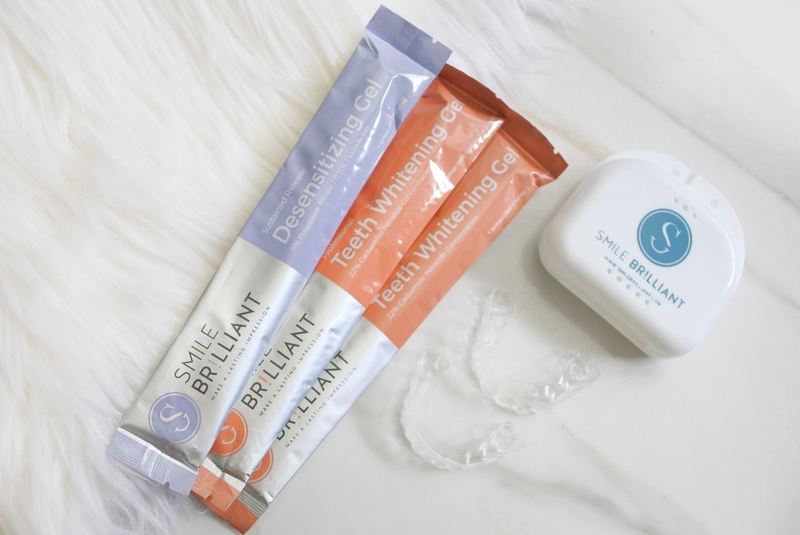 Smile Brilliant’s kits are really affordable and you don’t have to spend hundreds of dollars on getting them professionally whitened at the dentist. The kits range between $129-$159, depending on the amount of whitening applications. 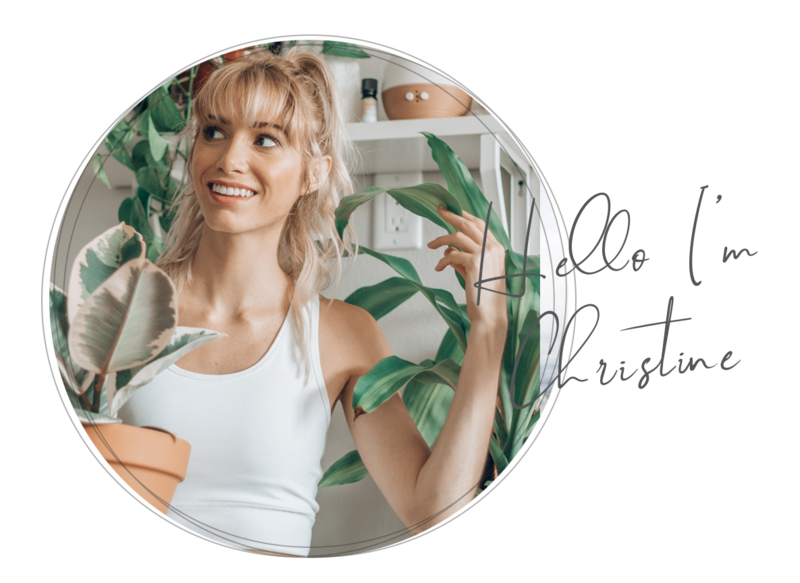 You can receive $20 off your order with code christine20for20. 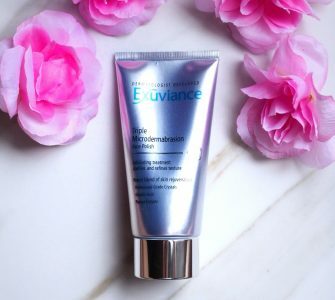 Plus you can also enter my giveaway to receive $139 credit to your very own kit!! All you need to do is submit your first name and address in order to enter! The winner will be selected and contacted via email within 2 weeks. The giveaway is open to USA, UK, Canada, and Australia. To enter go here: ENTER GIVEAWAY. I tend to have more tooth sensitivity when I whiten my teeth. Therefore, I opted for the desensitizing gel. Another great tip I learned from the company is adding vaseline or coconut oil to your gum line helps reduce with the sensitivity issues. 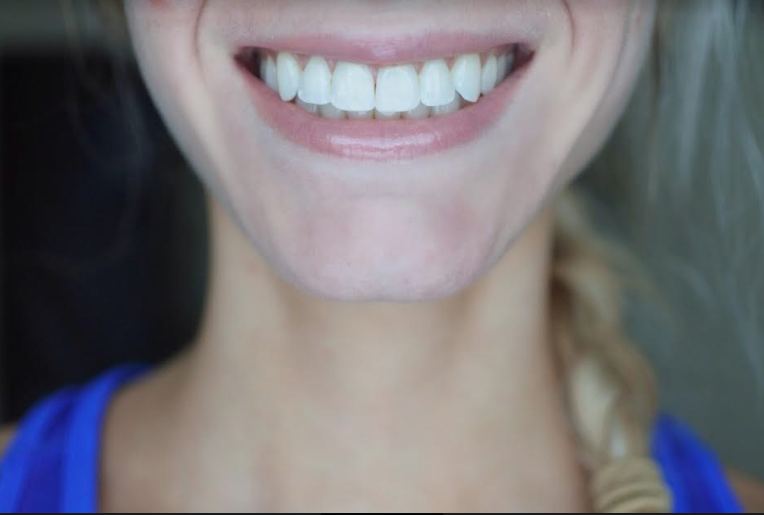 I used a little bit of coconut oil around my gum line and added the desensitizing gel to my tray and it helped eliminate my teeth sensitivity! First, you complete your online order and then receive your first kit! Next, once your receive your kit, making the molds for the trays takes only 15 minutes. Then you send them out to be made. Lastly, it’s time to whiten! It usually takes between 7-14 treatments to remove the tooth stains. You can wear the trays from 30 minutes up to 3 hours. Personally, I never exceed one hour. I like to whiten my teeth at night before bed. 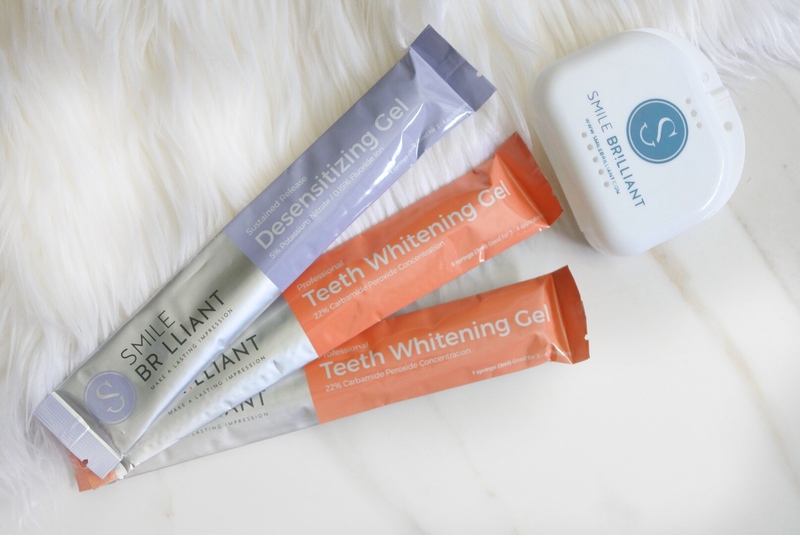 I’ll put on a good movie and snuggle up on the couch and wait while Smile Brilliant does the work! 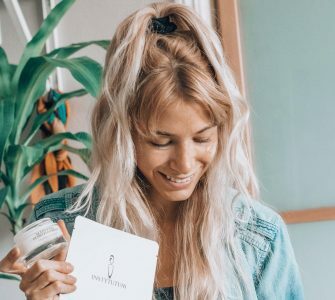 I would highly recommend this whitening system if you are looking for an affordable at home teeth whitening kit and it gives exceptional results. Check out mine! If you have any questions, feel free to ask me or reach out to Smile Brilliant. They are so nice and very helpful!! 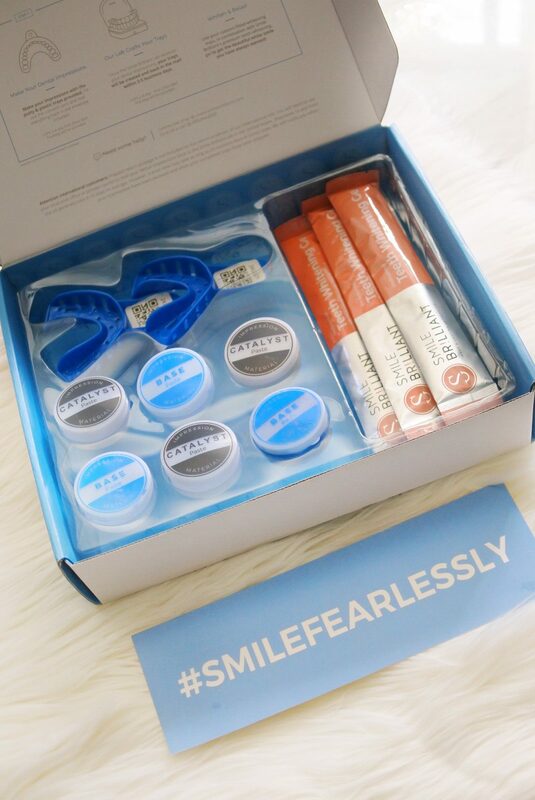 Hope you enjoyed learning more about this great whitening system! This post is Sponsored by Smile Brilliant. All thoughts and opinions remain my own!